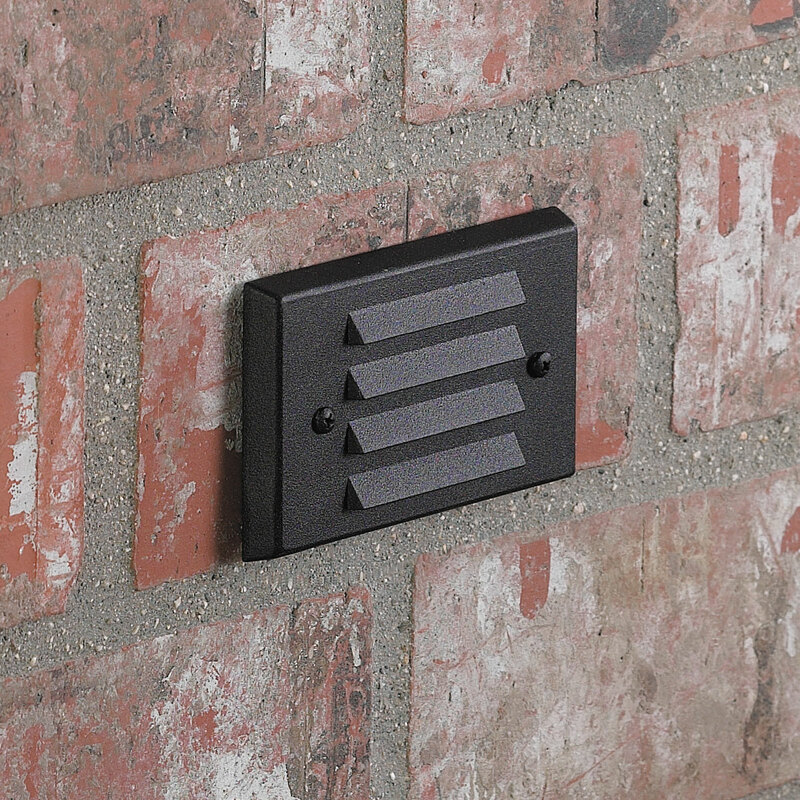 Recessed within the elements of steps or walls for low-level area lighting, this low voltage louvered face step light fixture is constructed of an injection-molded, fiber-reinforced composite housing. 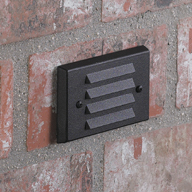 A die-cast, copper-free, aluminum cover plate is fitted with UV-resistant weather stripping to ensure a superior weather-tight seal. A super durable polyester powder-coated finish is applied and available in 13 standard colors. A clear, high-impact, polycarbonate lens safeguards the lamp and optics. The 4242 is shipped with a standard 10W T3 lamp, unless otherwise specified.